MD Installations (West Midlands) Ltd we take the care of your electrics extremely seriously. 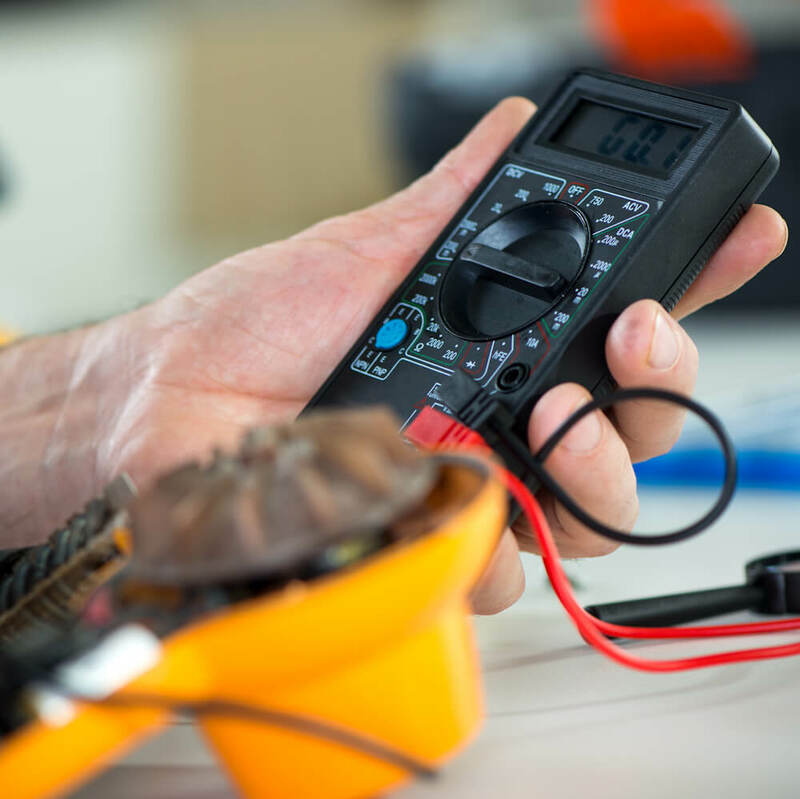 Our electricians are fully trained and dedicated to providing a wide range of services, including installation, servicing, maintenance, and repairs. We specialise in the provision of fire alarm and commercial security installations for both commercial and industrial clients. Our team are accredited by both CHAS and NICEIC, giving you the reassurance you need that any work carried out will be done with the greatest care. Using our years of experience in the industry, we provide the highest standard of electrical services. All our prices are affordable and competitive, offering you the best value for money. If you cannot see a service listed above that you need, then please get in contact as we are able to carry out further electrical services. Give our team a call on 01922 416175 or fill in our online contact form. In all public buildings and working areas it is compulsory to have fire alarm systems installed. Fire alarms are typically self-contained devices which have a way of detecting a fire, alerting you and those around the immediate area. It is estimated that around 500 people die in the UK every year as a result of fire in the home or workplace. Having a fire alarm protects lives and should be put in place to make sure everybody is safe. As an important safety aspect in many buildings and homes, understanding these alarms can shed some light on the importance of their presence. There are a few types of fire alarm, including ionisation, optical, heat and combined. Ionisation are normally cheap and are sensitive to smoke produced by fast flaming fires from items such as paper or wood. These alarms are not recommended for use near a kitchen as they can be too sensitive. Optical alarms are more expensive but are better at detecting larger particles from burning upholstery or PVC wiring. These can be placed close to a kitchen but not in one as they are still likely to be set off by minor things like burnt toast. Heat alarms detect an increase in temperature and are insensitive to smoke, making them ideal for kitchen use. However, these alarms cover small areas and should not be used for larger rooms or buildings. Combined alarms can either be a combination of smoke and heat or smoke and carbon monoxide. Smoke and heat increase the speed of detection of a fire by reducing false alarms, and smoke and carbon monoxide alarms reduce costs and take up less space. At MD Installations (West Midlands) Ltd our trained and committed staff always follow strict guidelines and provide the highest standards possible, giving you the security and fire detection you need. We are able to install and supply a huge range of fire alarms and security systems for all types of buildings, regardless of size. The installation services we offer include intruder detection systems, analogue detection technology, and complete building management. For more on fire safety in your workplace, visit the Health and Safety Executive (HSE) website here. At MD Installations (West Midlands) Ltd we provide a range of professional intruder alarm systems, CCTV systems and security lighting installations for commercial and industrial clients. Every security system installed will be uniquely designed, making sure that they fit your specific needs and requirements. In more recent years, CCTV (Closed-Circuit Television) systems have become recognised as one of the most effective forms of security for a home or property. These units are usually well priced and offer both surveillance and security for commercial and industrial premises. With a CCTV system, you will be able to keep an eye on your property or business from a distance. There are several benefits to the use of these, including the deterring of potential criminal activity. If it is clear that CCTV is being used, then a person may be less likely to attempt to break in or commit burglary. With our CCTV installation you will be able to monitor events in real time. Any footage gathered will be able to be viewed at a later date using data storage units. Our team believe very strongly in staying up-to-date with changes in technology and specialise in adapting our systems to meet individual client’s needs. Kidderminster has a population of around 55,000 and is a town based in the Wyre Forest district of Worcestershire. There are plenty of places to visit while in the area, including The Museum of Carpet, West Midland Safari and Leisure Park, and the Kidderminster Railway Museum. For those that need any electrical work, our team are on hand to help those located in Kidderminster and the wider area. Whether you need electrical installations, maintenance, repairs or inspections, we are on hand to help. Our fully trained and qualified team provide guidance and support that you need. For more information about the services we provide, give us a call today on 01922 416175. Alternatively, you can fill in our online contact form.